Tutubi was able to take these photos of the gate and of the beach front while he stayed at the nearby Veramaris Resort. 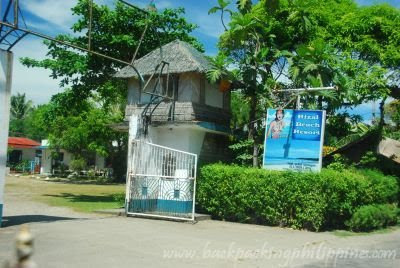 Tutubi can't give you a review of Rizal Beach Resort for he didn't stay there. You may call their published contact number for room rates, daytours/entrance fees and other inquiries. good that there is competition close by ! 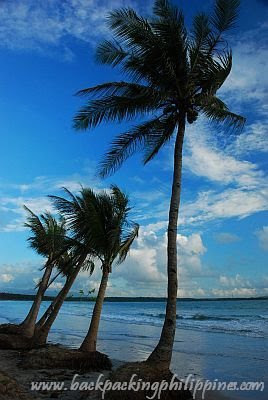 i love your shot of the coconut trees. There are many beautiful and untamed natural marvels in the Philippines and I am proud to live in such a beautiful country, actually I am a resident in Boracay Island and I fall in love with its pristine beauty when I first set foot on the marvelous island six years ago. 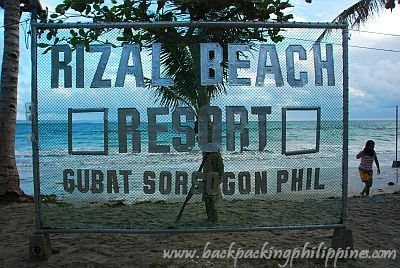 Rizal Beach Resort is truly a gem and one of the best resort vacation destination in the Philippines. I have been there once. 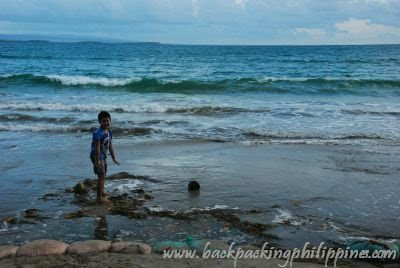 ..try to visit rizal baech..
dis place is so beautiful..